Join host Kelly Galea and her guest, Christine Herman, for this episode of Power Up Living. 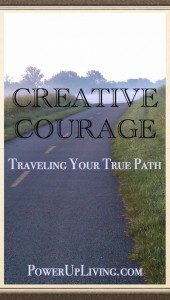 What is creative courage? Christine describes it as a deep curiosity and devotion to expressing our innate talents and passions. Having creative courage means coming home to yourself ~ acknowledging your unique fingerprint as well as the evolving vision for your life. It asks you to be aware of how daily thoughts shape your choices and actions toward or away from the desires of your heart. As an artist and creative catalyst coach, Christine understands the challenges of being true to your path in the midst of the complexities of modern life, constant multi-tasking, overwhelm, and the pressure of financial concerns. Her passion is to help guide others to rekindle and reconnect withtheir heart’s desire ~ the quiet voice within that leads them to discover their path and unfolding of their dreams. Each on of us is born with a natural curiosity to explore and create in a myriad of ways, but along the way, the demands, expectations and distractions of life can dim our brilliance. 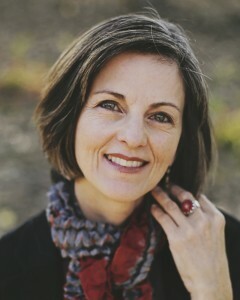 Christine Herman is a professional artist, entrepreneur, and creative catalyst coach. Her varied background includes 10 years as a practicing interior designer, public relations associate in the television industry, and a stint as a wine barista. Founder of Your Path on Purpose, a business offering creativity coaching for aspiring artists and creative entrepreneurs, she is devoted to helping women remember their innate co-creative nature and bring their dreams into being. Christine guides talented women to be clear and confident about their gifts so they can manifest their creative dreams in fulfilling & prosperous ways. She offers enthusiastic mentoring, blending artful self-discovery and pragmatic tools. 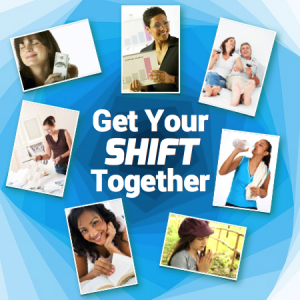 She inspires others through retreats, speaking and workshops, private and small group programs. As a professional artist she understands the challenges creatives face and their need for strategies in sync with their creative soul. Christine is a lifelong lover of learning, admitted chocaholic, former competitive runner and nature muse. Five years ago she followed her dream to move to the expansive landscape of the Southwest and lives in Albuquerque with her husband Robert and often amusing cats Cleo and Casper. Visit YourPathOnPurpose.com to get Christine’s gift, the Transform Procrastination into Creative Success Kit. Check out Christine’s special upcoming event, The Enchanted Path Retreat for Creative Women Entrepreneurs & Artists, Sept. 26-28th in Albuquerque, New Mexico.